Prime Minister David Cameron’s promise of a referendum on the UK’s membership of the EU could turn out to be his political requiem. The storm of controversy that followed has left Cameron beleaguered by the Opposition, his own party, the Liberal coalition partners, the EU and by the USA. It will take all his political skills to retain some control over the issue. Cameron, the consummate moderniser of the Conservative Party, has always been under pressure from the considerable euro-sceptic wing to renegotiate Britain’s EU membership. Offering a referendum was also a desperate attempt to stem the swelling support for UKIP which threatens the Tories’ electoral chances. Cameron promised that if there was the possibility of renegotiating Britain’s membership terms, he would campaign vigorously for continued membership. 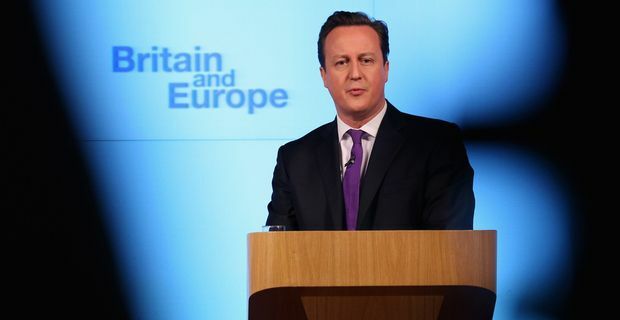 Pressed on whether he would campaign for an exit if renegotiation was not possible, he avoided a direct answer. "Who goes into a negotiation hoping and expecting to fail?" he said. "That is not the approach I take. There is every chance of success." France and Germany have little incentive to change the terms of Britain’s membership. "We are prepared to talk about British wishes," German chancellor Angela Merkel said, "but we must always bear in mind that other countries have different wishes and we must find a fair compromise." The French foreign minister Laurent Fabius opted for a culinary metaphor. "You can’t do Europe a la carte," he said, with all the haughtiness of a Parisian waiter. Succinct populist Tony Blair summed up the emptiness of Cameron’s threats: "It reminds me a bit of the Mel Brooks comedy Blazing Saddles where the sheriff holds a gun to his own head and says, 'If you don’t do what I want I’ll blow my brains out'." Cameron could ignore the blustering protests of his deputy Prime Minister Nick Clegg but had to admit that, in the event of a referendum, his Tory Cabinet colleagues who wanted to campaign for a British exit would have to leave the Government. In the meantime, the USA is quietly but firmly telling Cameron to stay in the EU. In the end, that voice might turn out to be the most persuasive.